<< Former Vietnam POW Dr. Hal Kushner – For Love of Country and the 1-9th! JPACs Detachment 2 in Hanoi is hoping to receive three to four Russian Kazan MI-172 helicopters when the DoD signs a CARB waiver, allowing team members once again to reach inaccessible sites by air. Several families with MIAs still unaccounted for since the Vietnam War, including my husband, Capt Jerry Zimmer, USMC, are expecting the Department of Defense (DoD) to sign a waiver soon that will allow team members with the Joint Prisoner of War, Mission in Action Accounting Command (JPAC) to fly by helicopter to inaccessible locations in Vietnam and Laos to conduct MIA field operations. Without a waiver, it is unlikely that JPAC will be able to access many—if not most– of the sites on the waiting list for investigations and excavations. In some ways, our family is luckier than most, because Jerry’s site is moderately difficult to access. 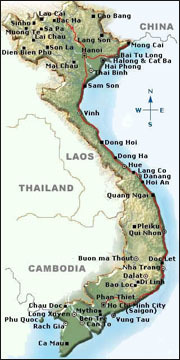 It is common knowledge within the MIA community that the low-hanging fruit has been picked from the Vietnam War, and now recoveries involve sites that are logistically difficult to access because of the tough mountainous terrain, thick canopy and harsh weather conditions in Vietnam and Laos. In February, Adm Robert Willard, who heads the Pacific Command (PACOM), signed a waiver renewing contract helicopter service for transporting cargo to support field operations in Vietnam and Laos – not a waiver for team transport, as originally thought. The cargo transport waiver was first issued approximately a year ago, so it was time for annual renewal or cancellation. The helicopter conundrum began last year when a JPAC team was transported to a location in Laos, and the helicopter had a hard landing. Although no one was hurt, the event alerted DoD officials of the oversight that contract helicopters in Vietnam and Laos were not certified by the Commercial Airlift Review Board (CARB). All air carriers transporting DoD personnel in the US and foreign countries must be certified by CARB. Essentially, the helicopters were unlicensed, according to CARB policy. There are some exclusions for combatant commands, but MIA recoveries in Vietnam presumably do not fall in that category during peacetime. The CARB is a DoD functioning organization that determines “which carriers are allowed to be utilized by the DoD in the commercial airlift augmentation program with regard to quality and safety.” The deal is that if a helicopter service wants to contract with JPAC, they must comply with CARB, or DoD must issue a waiver. According to my recent conversation with Deputy Assistant Secretary of Defense Bob Newberry, a waiver should be forthcoming soon for team transport. It is likely that someone in the DoD will sign the initial waiver when that happens. Helicopters definitely play a big role in JPACs MIA field operations, and the host country does not allow us to bring in our own helicopters. Operations in Vietnam are run from Detachment 2 in Hanoi, currently commanded by LTC Patrick Keene, USA, while those in Laos are run from Detachment 3 in Vientiane by LTC Christopher Barnwell, USA. When a waiver is signed for team transport, the number of helicopters contracted to each Detachment is likely to be determined by several factors, but JPACs budget will trump all. 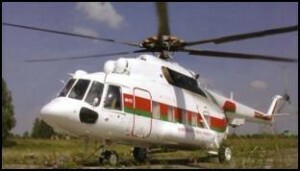 Laos uses four to six French AS350 “Squirrel” helicopters, along with one or two Russian MI-17 helicopters. Vietnam expects four Squirrels to begin with, and three to four Russian MI-172 helicopters to follow. Currently, the MI-172s are carrying cargo in Vietnam for MIA operations. No one wants our JPAC teams to fly in unsafe helicopters, especially after the horrific crash that took the lives of several JTFA team members (JPACs predecessor) in 2001; however, I have been told that Northern Service Flight Company, JPACs contract helicopter service in Vietnam, has excellent Vietnamese crews and sound airframes. In Laos, Air New Zealand (Lao WestCoast) also has good crews and birds. From all accounts, JPACs Detachments in Hanoi and Vientiane are ready to get back in the air, and no one seems to have an aversion to flying on any of the contract aircraft mentioned here. Now it is up to the DoD to make it happen. This entry was posted on Wednesday, March 9th, 2011 at 9:11 pm	and is filed under MIA Recoveries in Vietnam, Searching for MIAs in Vietnam, Vietnam MIA. You can follow any responses to this entry through the RSS 2.0 feed. You can leave a response, or trackback from your own site. – The report is very comprehensive. However, it seems that Vietnam would NOT begin with Squirrels but to use three to four Russian MI-172 helicopters. Thank you Ms. Zimmer for this site!! This tail end Baby Boomer will be gone all too soon enough…KEEP LOOKING!!! There are still too many Men and Women on BOTH SIDES that have not come home to the families they did not get to see grow and mature into adults and now raise their own families. Shriver was last seen by the company commander, Capt. Paul D. Cahill, as Shriver was moving against the machine gun bunkers and entering a tree lineon the southwest edge of the LZ with a trusted Montagnard striker. Capt. Cahill and Sgt. Ernest C. Jamison, the platoon medical aidman, took cover in a bomb crater. Cahill continued radio contact with Shriver for four hours until his transmission was broken and Shriver was not heard from again. It was knownthat Shriver had been wounded 3 or 4 times. An enemy soldier was later seenpicking up a weapon which appeared to be the same type carried by Shriver.